Lately, I’ve been struggling. Having a really, really hard time dealing with my depression and other issues that have came up in my life…prayers , good vibes, or any suggestions that could help. Are highly welcomed, thank you so much loves. About to lay down for bed now. Tomorrow I jump on a bus for the first time from Atlantic City to New York. How exciting, tomorrow and most likely from now on, will be working in New York! I am SO nervous, and my anxiety is thru the roof. It saddens me to say I have been slacking on my studies and practice, but I am ready to dive in Head first. I especially need to work on my meditation and anxiety. Anyone know any good prayers/spells/crystals to help with my chronic anxiety? Do you practice any divination? If so, has it helped/affected you? If not, would you like to learn or is it something that doesn’t interest you? What are your thoughts and feelings on spirit boards? Even when used the correct way, for the correct reasons? Witchy shopping trip – A MUST! I thought i could take this time to make a more personalized post. My boyfriend woke up in the middle of the night with a terrible headache, which lead to me waking up to try to help him. Happily, he is now back to sleep, hopefully by the time he awakes in the morning this migraine will be gone for good. Anyone know any good spells for migraines, for future cases? I almost daily suffer from migraines, and my boyfriend also does on occasion. I also just enjoyed a delicious piece of cake, haha. It is actually super easy to make your own essential oil blend. Whether you are making your own money oil, success oil, banishing oil, or love oil, you have to first focus your intent. Once you’re done, store your oil blends in dark-colored glass bottles and keep them in a place where heat and moisture wont reach them. You have to consume these blends within 6 months of making them. Have any advice for new witches or people interested in the craft? Anything you wish you knew before starting your journey? 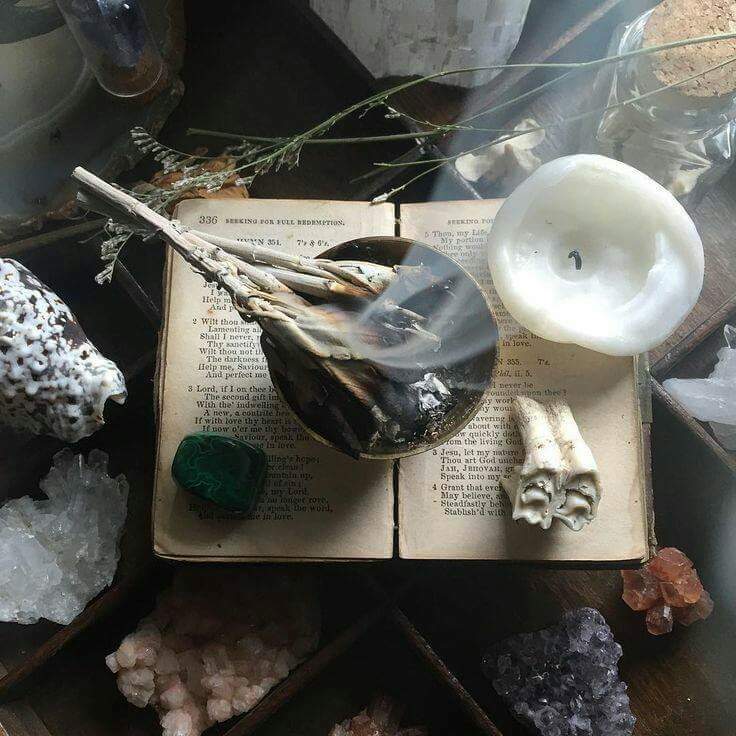 This spell will enable you to see your past life/future life. “Shall at midnight I see my past life/future life”. Now go to sleep. At midnight you will begin dreaming of your past life. You will be in a white room with 2 doors. Choose fist door for past, second for future. Open your door. Observe the person in the door, than ask these questions. What year are you from? Now if you are in the past, say I am your future life. If you are in the future, say I am your past life. This should take about 10 minutes. Your alarm will go off, wake up, take your pen and paper and write down everything you experienced.